Having a class lecture online plays influential roles in this fast-paced era, which brings large facility to people's life, especially for social groups who study after work. However, being same as traditional class, an online class lecture will be delivered at a fixed time that is informed by teacher to students in advance. There may be a case where you are busying with other urgent thing and miss your class lecture. How to deal with it? To provide substantial help, we'd like to share one effective solution with you to record class lecture with no efforts so that you can feel free to watch it offline anywhere at any time. Only with a computer and an excellent recording tool can you realize it, which will be produced within few clicks. Now, follow me to see more details. 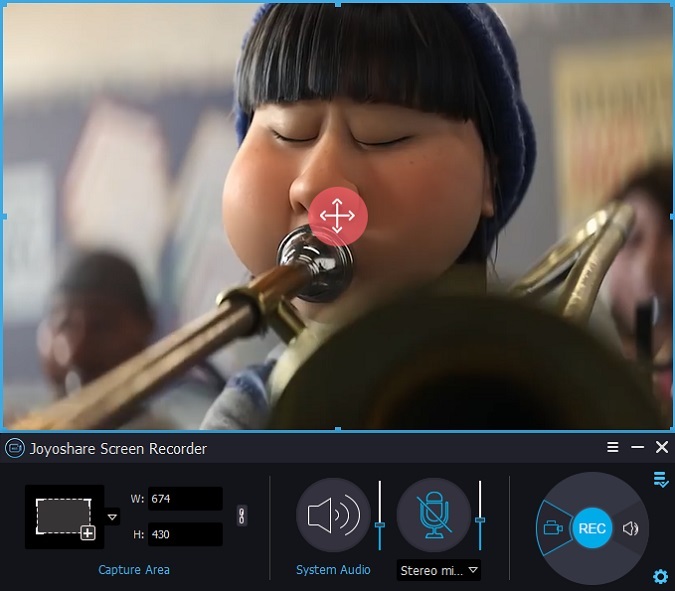 It is Joyoshare Screen Recorder that is regarded as one of the most decent video recording programs used to capture not only video but also audio activity on your desktop screen. 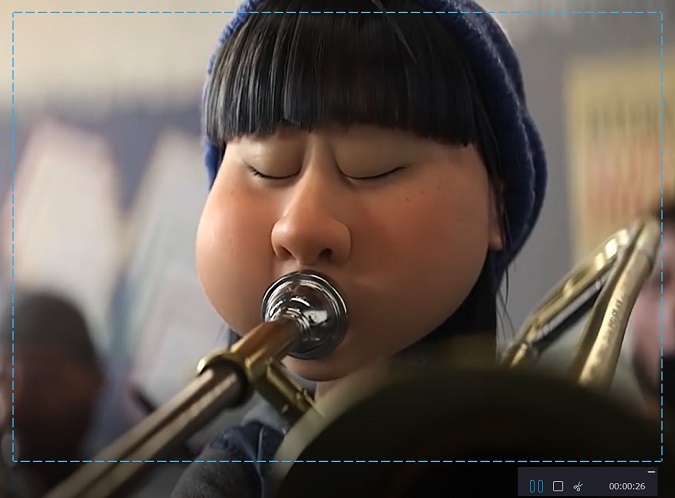 With the most advanced screen capturing technology, it can empower you to record class lecture from any platforms in high quality and save it to any accessible output formats, for instance, MOV, MKV, M4V, MPEG, MP4, AVI, etc. Additionally, it also can be used to other popular devices, like Andriod, iPhone, Xbox, smart TV, etc. Aside from class lecture, Joyoshare Screen Recorder can come in handy when you want to record live streaming video, gameplay, GoToMeeting webinar, online movies from Netflix, music streams from Spotify, etc. Professionally, Joyoshare Screen Recorder is capable of recording class lecture video with clear audio track in perfect synchronization, from which you can disable system audio or microphone sound as well to avoid noisy intervention. This smart video recorder features wonderful functionality in recording, such as, selecting recording screen area, creating a scheduled capturing task, adding personalized effects to cursor, choosing feasible output formats, correcting ID3 tags information, etc. Of course, it can do more for users as an independent audio capture as long as you want. How to Record Class Lectures with Easy Operation? 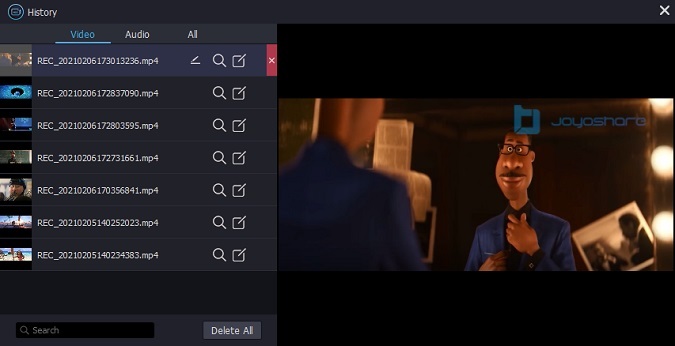 Make sure to download and install Joyoshare Screen Recorder on your PC ahead of time. Double click the icon on your desktop to launch it and you will see following intuitive user interface. Joyoshare Screen Recorder allows you to select any region on your desktop screen to have a class lecture recording task. There is a "Capture Area" located on the left of main interface, which is designed with three different approaches to determine recording area, including clicking "+" button to drag pop-up window, put specific number to "W" & "H" frames and choose systematic fixed ratio from drop-down menu. Note: Remember to open microphone sound if you would like to get a class lecture recording with both video and audio left. Certainly, if you prefer to capture video only, then it is your choice to close system voice or microphone sound. 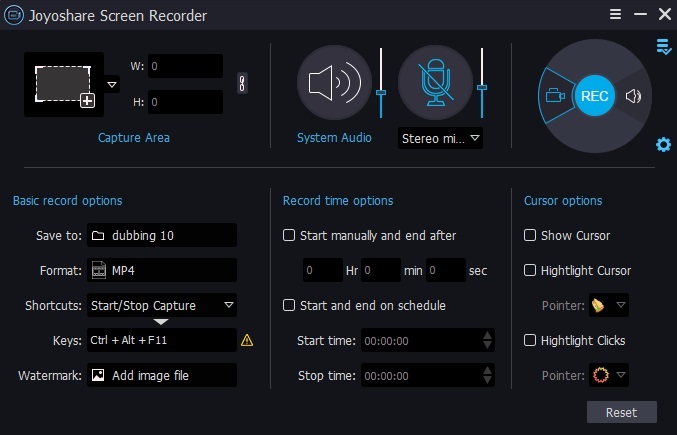 Furthermore, you can directly click the audio icon on the right of "REC" button to run Joyoshare Screen Recorder as an audio recording tool specially. Make a better acquaintance with what Joyoshare Screen Recorder can provide to you. You will be shocked when utilize it to finish a recoding task in person as it enables you to set preferences through "Basic record options", "Record time options" along with "Cursor options". Taking the middle one as example that is available to create a scheduled recording task in advance, it will start to work automatically when the designated time is up, being convenient enough especially when you go out. Enter any website to have a class. You can go for hitting "REC" button after the class lecture begins. There will be 3 seconds countdown on your screen, during which you have chance to make adjustment of recording area again supposed that the previous capturing position is not proper enough. Alternatively, Joyoshare Screen Recorder also facilitates you to take screenshots at any time and split the video to different segments as you like. When complete class lecture capturing process, simple press "Stop" button. All finished class lecture recordings will be shown in the "History" list, which delivers a platform for you to preview your class videos, rename them and revise ID3 tags information.